Minister Alan Kelly says there’s now 2,000 fewer being installed per month compared to late last year. THE NUMBER OF water meters installed across the country has now reached half of the target amount. However, the rate at which they’re being installed has slowed slightly, according to figures released by Minister for the Environment Alan Kelly. As of 18 January, a total of 552,587 meters had been installed across the country. It’s estimated that somewhere in the region of 1.1 million will be required. A figure of 1.2 million has also been quoted in the past. In response to a parliamentary question from Fianna Fáil’s Barry Cowen, Kelly confirmed that meters are being installed at a rate of 31,000 per month, or just over 1,000 per day. While this is above the average for some periods last year, it has is below the 33,000 figure quoted for the end of last year. “Irish Water’s meter installation rate is three times that of comparable programmes in the UK,” the Minister noted. At this rate, the entire process will be completed by June or July of next year. Installation started in July 2013. Questions were raised earlier this month over whether these meters will need to be replaced in 15 years time – the life of the device as specified by the manufacturer. Irish Water stressed it “will not be repeating the metering programme”. “There will be no wholesale replacement of meters in 15 years time, in practice they are maintained and replaced over a much longer period, slowly, and at a fraction of the original cost of installation,” a spokesperson said. 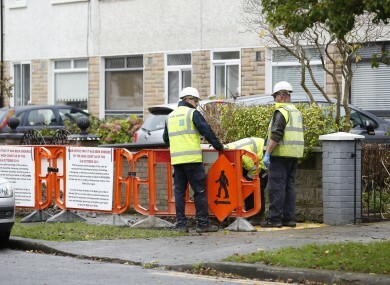 Email “One thousand water meters are being installed every day (but progress has slowed down)”. Feedback on “One thousand water meters are being installed every day (but progress has slowed down)”.